Here we are at last, into Adam's Silurian. First up is the Lower Silurian or Llandovery and I begin with a problem. Anyway, this, I remember now I've found the correct label, is from the greenish Browgill Formation, part of the Stockdale Group from a cutting near Skelgill (Skelghyll) in Cumbria, Northern England. It seems to be a tabulate coral, but I can't find any listed for this location, only mentions of small, rare, rugose corals. 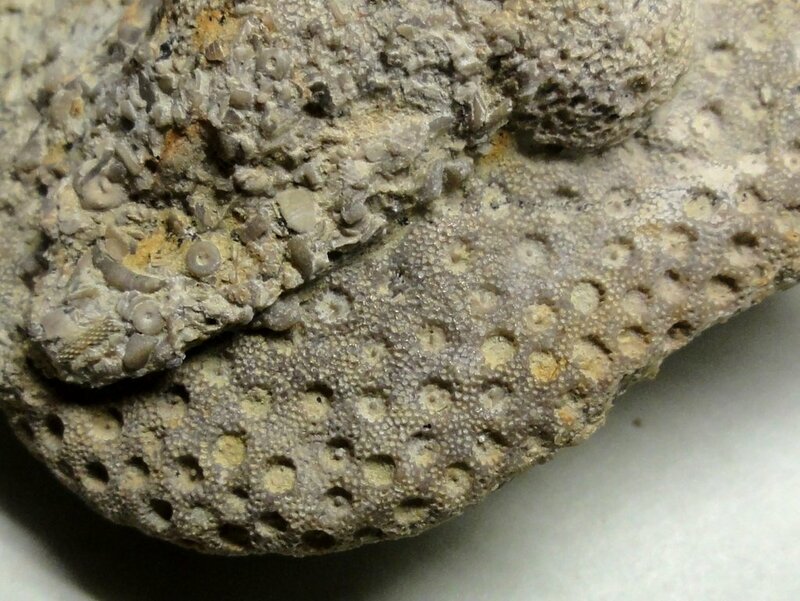 It has the star shaped corallites of a Heliolitidid, but seems to be tightly packed together like a Favositidid. 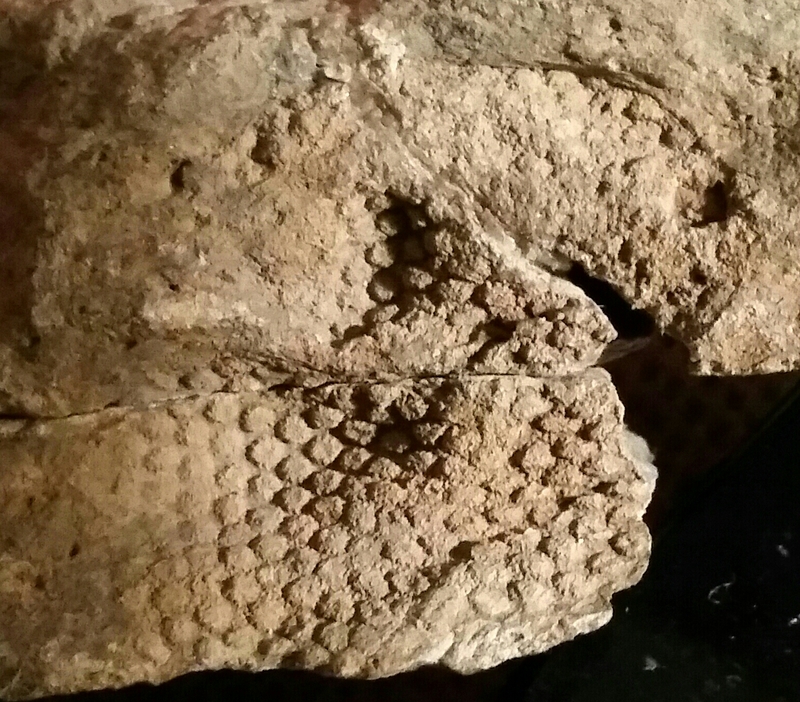 A couple of species of Palaeofavosites seem to be close and are a bit star-shaped,, but anyone know any better? @TqB@piranha hmm who else? The coral bit, an external mold, is a maximum of 3.5 cm across and each corallite up to 2 mm. Nice coral! Can’t wait to see what is next. "The Coral-fauna of the Stockdale Series is a very limited one, as regards both the variety of species represented and the number of individuals. 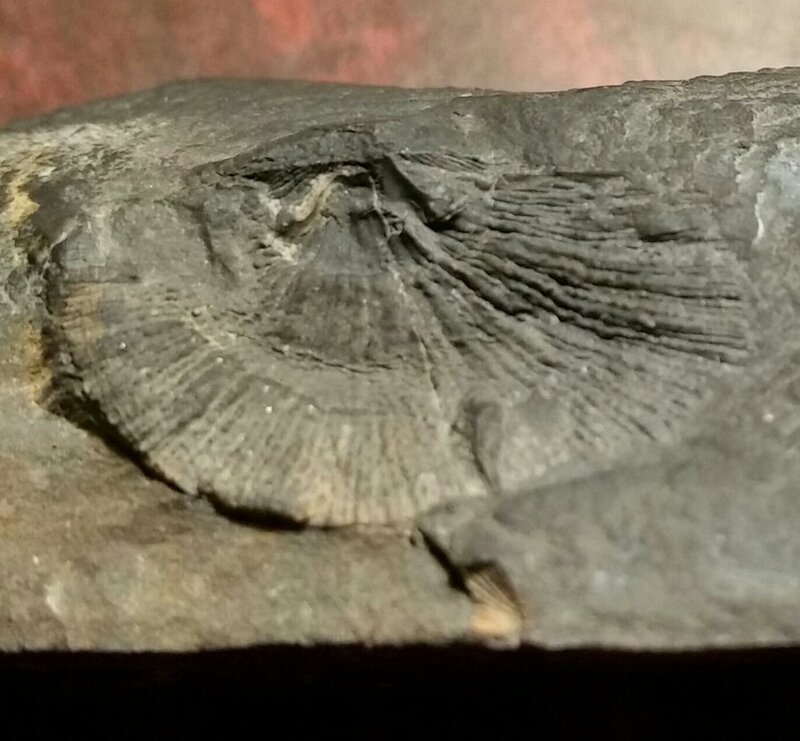 The Upper Skelgill Beds have yielded an undeterminable species of Lindstroemia, and a Monticuliporoid has been found in the acuminatus-zone in Skelgill. 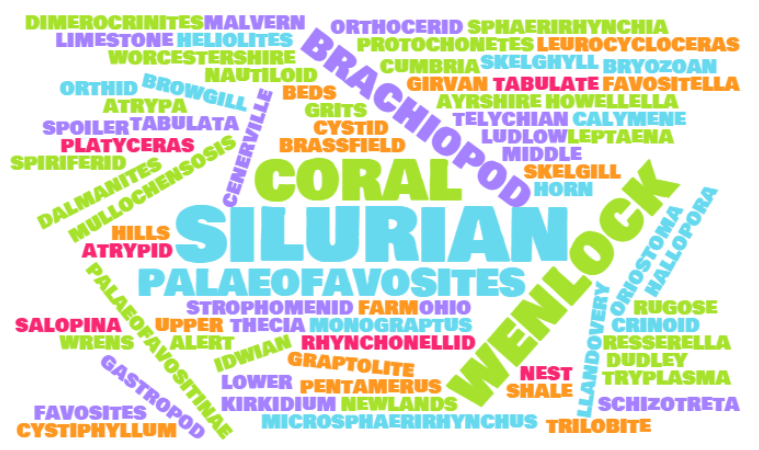 With these exceptions the known corals of the Stockdale Series are referable to the genus Favosites, and, mainly if not exclusively, to one species of the same, viz. Favosites mullochensis, Nicholson and Etheridge. This species occurs abundantly in the Silurian rocks of Ayrshire, at Mulloch Hill and at Woodland Point; and it is of not very uncommon occurrence in the zone of Phacops glaber in Skelgill." "The Coral-fauna of the Stockdale Series is a very limited one, as regards both the variety of species represented and the number of individuals. 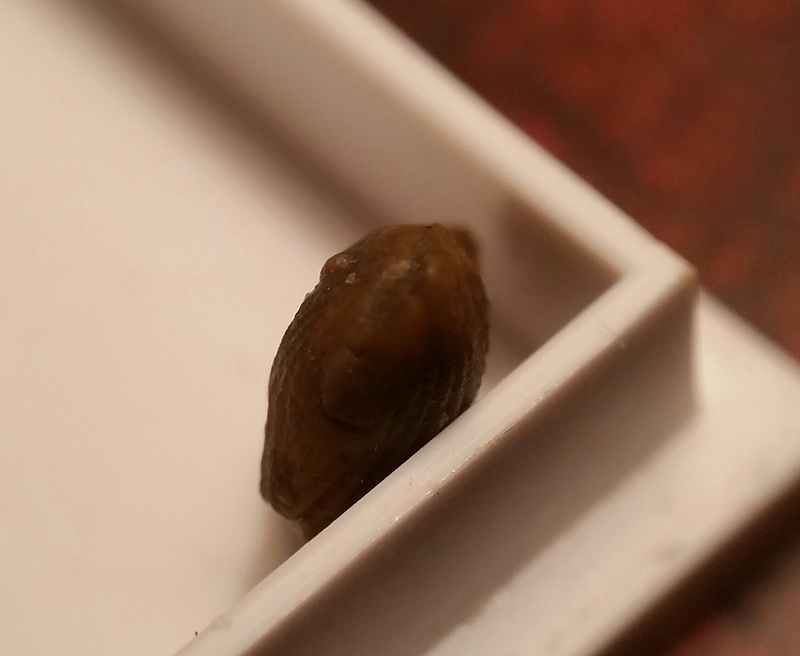 The Upper Skelgll Beds have yielded an undeterminable species of Lindstroemia, and a Monticuliporoid has been found in the acuminatus-zone in Skelgill. With these exceptions the known corals of the Stockdale Series are referable to the genus Favosites, and, mainly if not exclusively, to one species of the same, viz. F. mullochensis, Nicholson and Etheridge. This species occurs abundantly in the Silurian rocks of Ayrshire, at Mulloch Hill and at Woodland Point; and it is of not very uncommon occurrence in the zone of Phacops glaber in Skelgill." The Stockdale Shales are now called the Stockdale Group which includes the Skelgill and Browgill formations, it seems. And F. mullochensis is now Palaeofavosites mullochensis (Nicholson and Etheridge, 1878) Solokov, 1951, it would appear which means i wasn't far wrong! 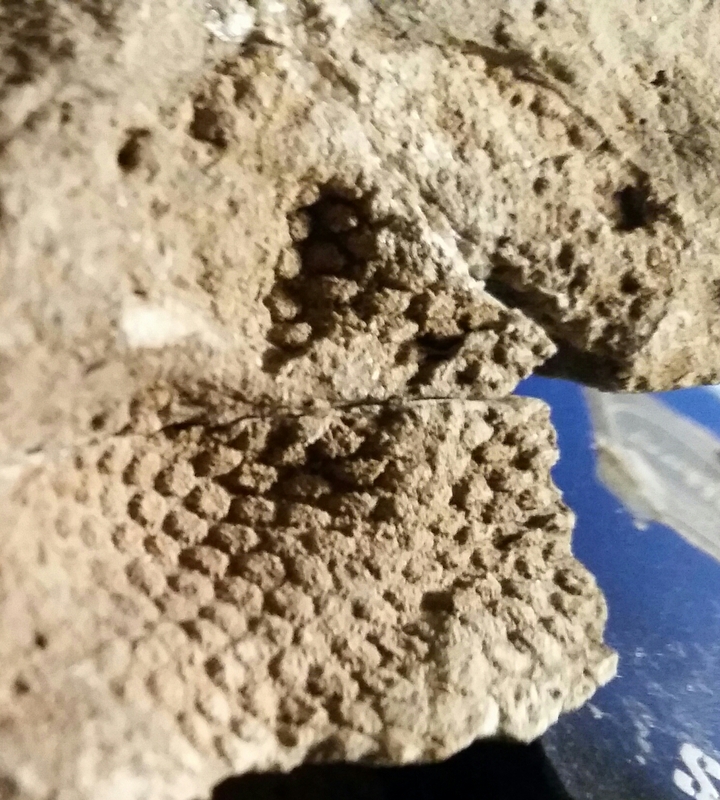 Nice coral, interesting how much it looks like Hadrosaur skin. 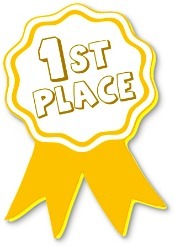 Thanks, Frank, I like prizes! Thing is I can't add to the tags after a day or two so i'm planning ahead. I think I've got everything I listed, and more! I would like to award you a prize for linking absolutely everything to dinosaurs! A lovely little thing - I agree favositid rather than heliolitid (can't see any coenenchymal tubules) so @piranha's reference looks a good bet. Thanks Herb! It is indeed a negative cast. 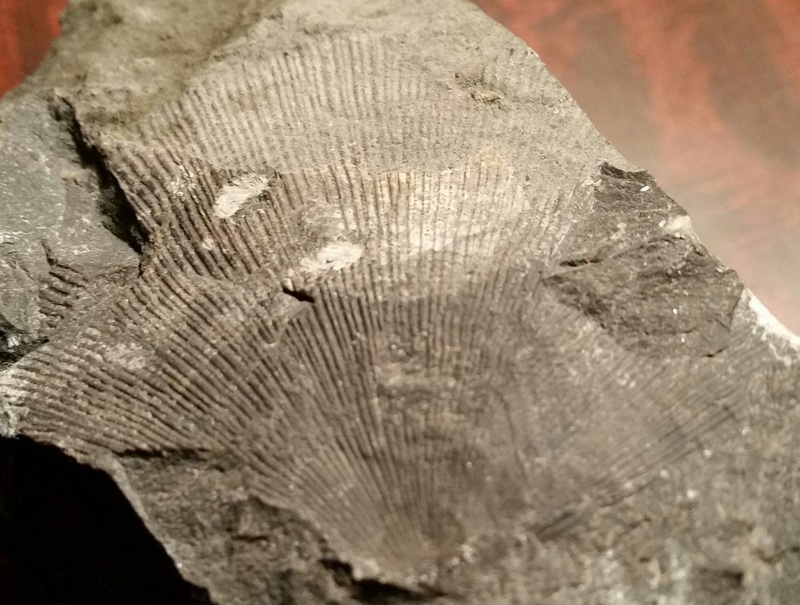 I agree the corallites are a close match, but those in my specimen are much more tightly packed, I think. Can’t wait to see the rest of your collection! Spoiler alert has been added to the tags. Thanks for the suggestion, my friend! Not as many tags added to these, but lots of wonderful specimens to look at. 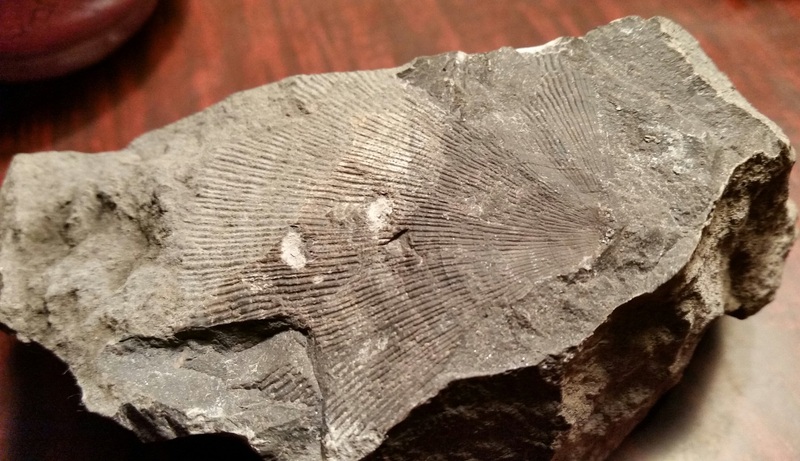 The Browgill Formation contains thin bands of shale which are said to contains lots of graptolites. Oddly I didn't find any but made up for it later in the day when searching in the Skelgill Formation in Skelghyll itself. But also in the Browgill i did find this brachiopod, Eostropheodonta mullochensis which firs rather nicely with my coral having the same specific name. The reason is that both species were named after Mulloch Hill in Ayrshire, as mentioned in Piranha's post above, and the same fauna seems also to occur in the Stockdale Group in Cumbria. The specimen is 2.3 cm at its widest. 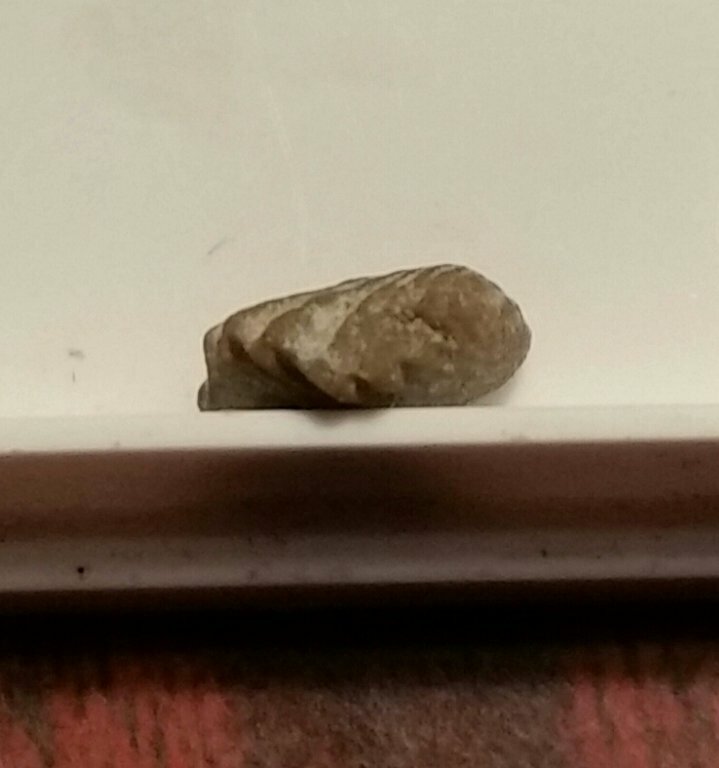 Hey Adam, enjoyed the thread and the finds! Looking forward to the others as well. After the Browgill Formation, I moved on to the actual Skelghyll Beck itself to check out the graptolite layers from the slightly older Skelgill Formation. 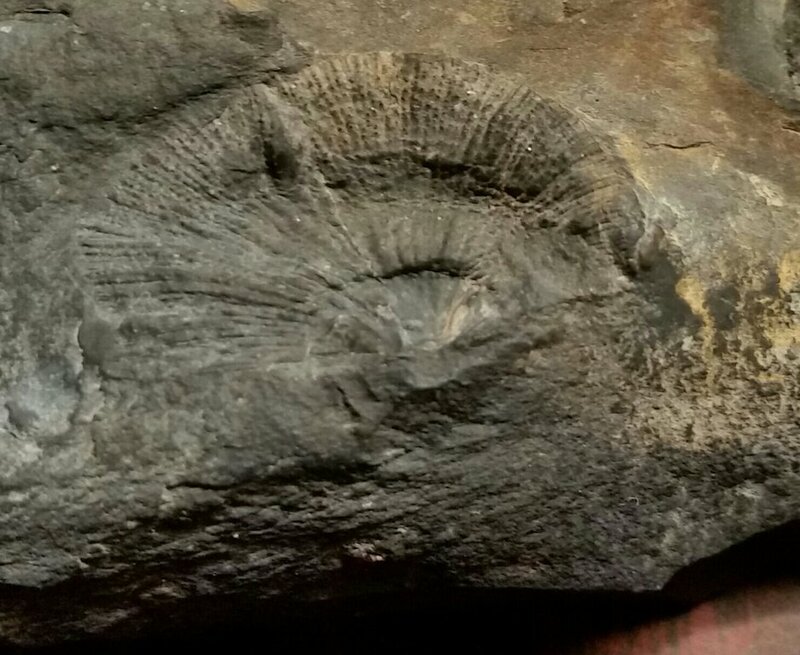 Indeed the Browgill Formation rests conformably atop the Skelgill Fm; and right at the top of the Skelgill Fm in a thick band of very hard shale, I found this brachiopod, so it must be round about 436 million years old! It was in a huge lump of rock and i couldn't free it properly, perhaps I should have left it to be weathered free or destroyed. Not sure if what I did was right or wrong, but it was 30 years ago, so it's certainly a bit late to worry now. The stream in the beck was very cold but not very deep, I recall. The block I removed is 7 cm deep, not that you can tell by looking at the top in these photos. 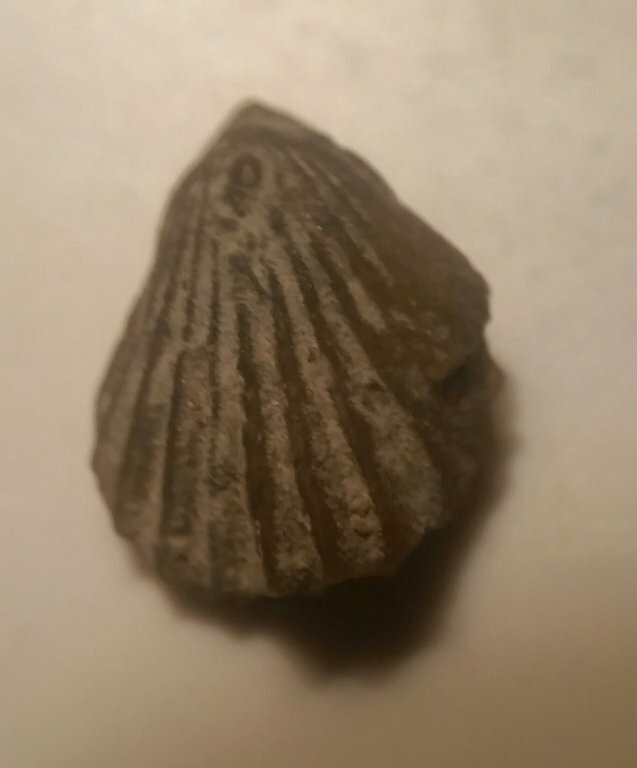 It's a huge piece and the brachiopod, which I believe to be the pentamerid Costistricklandia lirata is a whopper. 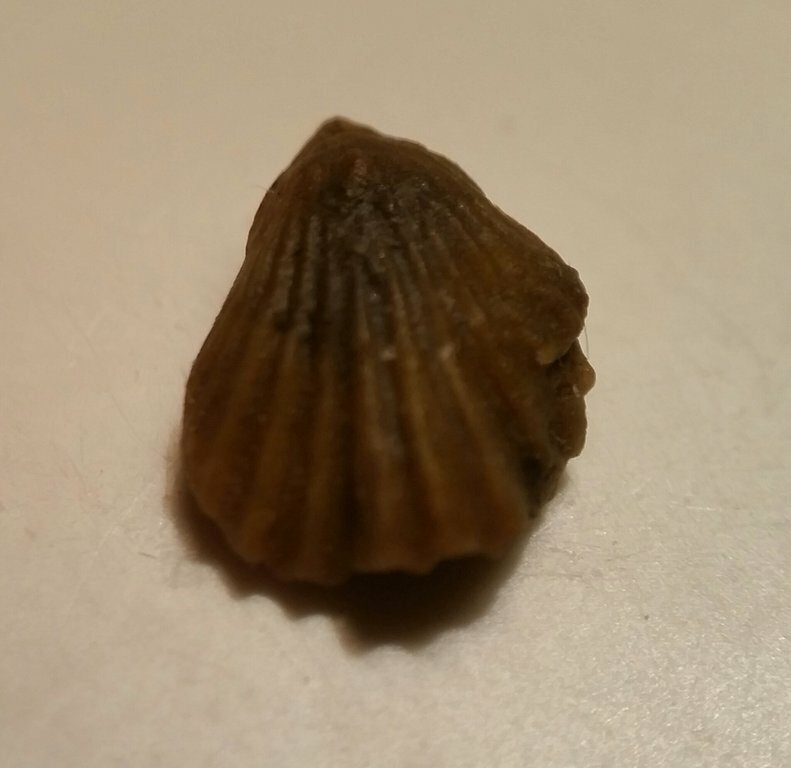 The bit of brachiopod here is 6.8 cm at it's widest part, so the complete specimen must have been 8 cm at a guess. 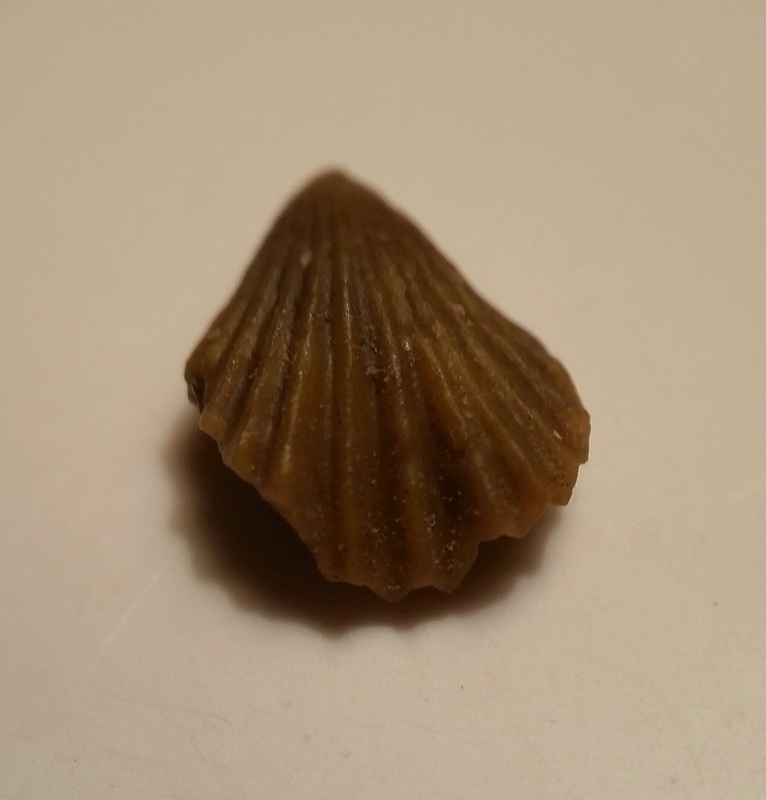 That's pretty big for a brachiopod. Costistricklandia lirata is a beauty. Nice little report too. 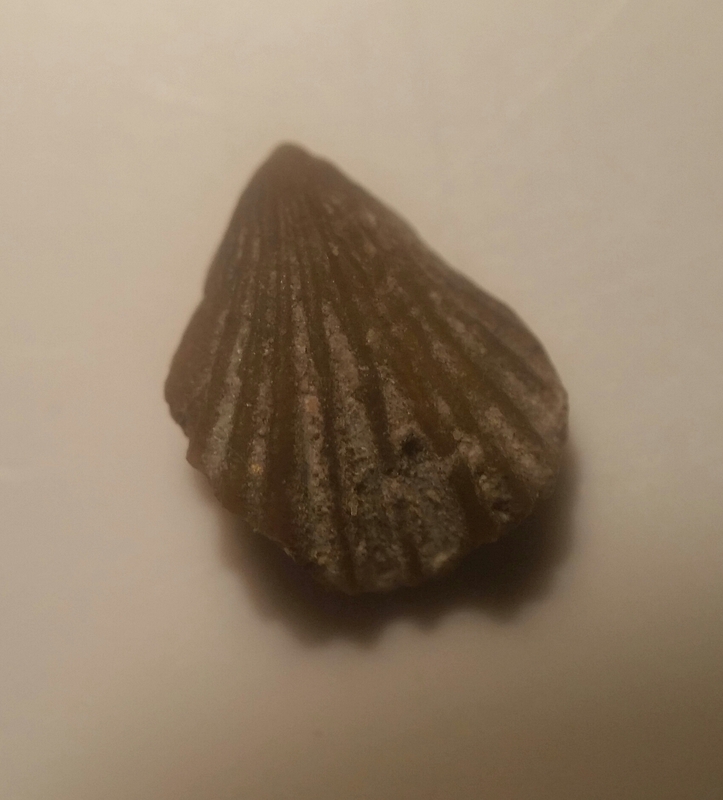 I thought i'd take a break from the freezing cold streams of Northern England for a moment to post another brachiopod, this one from the Brassfield Formation of Centerville, Ohio. Some say that this should be its own formation, the Centerville Formation. It was sent to me as Rhynchotrema by friends in the USA over 40 years ago as part of a fossil starter kit and labelled ' Rhynchotrema sp' . Don't think that's right. There are three species of Camarotoechia sp. 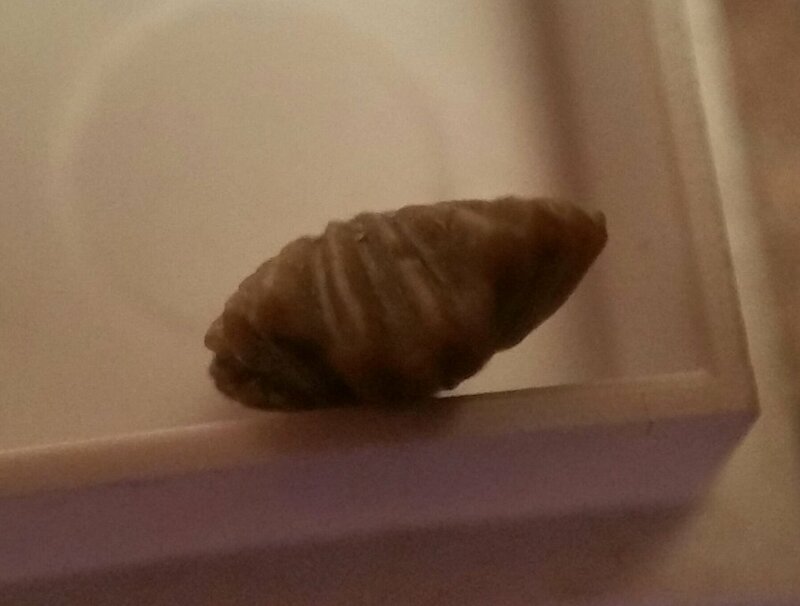 found in these locations but that genus is very globose and this hasn't been flattened to that degree, at least. I think this is Rhynchotreta cf. thebesensis recorded from Centerville and much closer in my opinion. A different family to Rhynchotrema as well. Quite near the base of the Silurian, this one. It's tiny compared to Costistricklandia, only 8 mm long and 7 at its widest. But wait a minute, thunk I, when I was gazing lovingly at this specimen yesterday. I've never tried to prep this little fellow. @Peat Burns you may be interested in this and the previous few posts.